“Okay” by Athens, GA’s Venice Is Sinking, was released earlier this year on their album AZAR; the band is finally giving it due diligence in their extended single Okay, out this fall. Naturally, the EP begins with “Okay” before diverting into a few new tracks, “Compass” and “Give Up”. They then round out Okay with alternate versions of the two key hits off AZAR, “Okay” and “Ryan’s Song”, both recorded as Henslee Sessions. 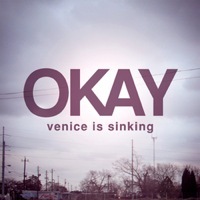 “Okay” is a homage to the band Okay (Okay’s Huggable Dust earned my #20 spot on last year’s Best of 2008 list), and Venice Is Sinking follows the AZAR version of the track with two covers of that band. “Compass” begins with cello and a soft drum beat. The slow nature of the song gives it a laid back, romantic feel that would ultimately have given it a welcome home on AZAR. But it works well as a b-side here. “Give Up”, on the other hand, is a true b-side. A viable and excellent song, it just doesn’t have the orchestrated quality of AZAR at the onset. When it does enter, the vocals give the song the sound of early The Arcade Fire. The “Henslee Session” tracks are perfect. 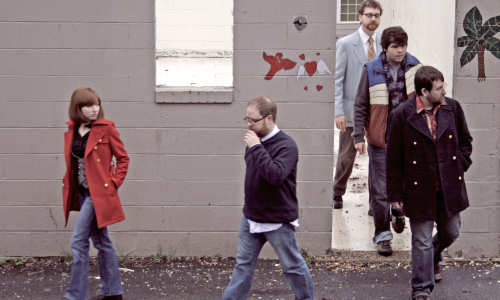 While “Ryan’s Song” maintains much of the original’s fervor, “Okay” has unique elements that give the song an acoustic tenor. What makes this song stand out is the nontraditional usage of percussion. Rather than the brushed sticks found on the original, it begins with what sounds like a typewriter before drums enter partway through. Adding to the differences is an emphasis on orchestration, beginning with an organ and finding its way into violin. Okay is a beautiful follow-up and outstanding accompaniment to this year’s AZAR, again proving Venice Is Sinking as one of the most impressive artists of 2009.